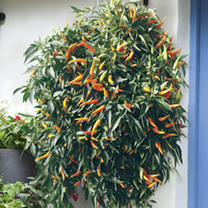 A revolutionary sweet pepper to grow outside your back door, providing bountiful crops that not only look extremely ornamental, but also taste delicious too! 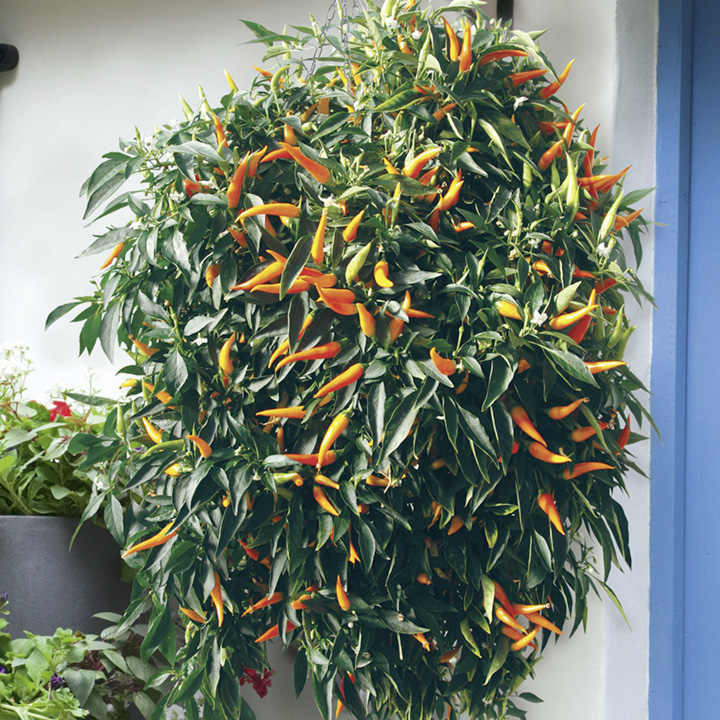 This exceptional sweet pepper has a unique trailing habit, making it the perfect choice for hanging baskets, window boxes and raised plant stands. 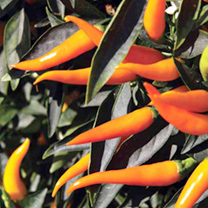 It produces heavy crops of small, tasty, pointed fruits which ripen from green to orange-yellow. This pepper is ideal for any garden and is exceptionally suited for patios and small gardens and will provide you with a delicious harvest from June through to October. A truly ornamental edible pepper. Baskets full of tasty sweet peppers! Sow February-April in pots or trays in a propagator,airing cupboard or greenhouse at approximately 18-21°C (65-67°F) using good quality, moist compost. Cover seeds with 6mm (¼") sieved compost. Germination 14-21 days. Transplant seedlings April-May when large enough to handle into 10cm (4") pots and grow on prior to planting into their final container using 3 plants to a 30cm (12") hanging basket or 1 plant to a 1 litre pot. Place outdoors once the risk of frost has passed. Water and feed regularly. Sowing/cropping 20-22 weeks (June-October).